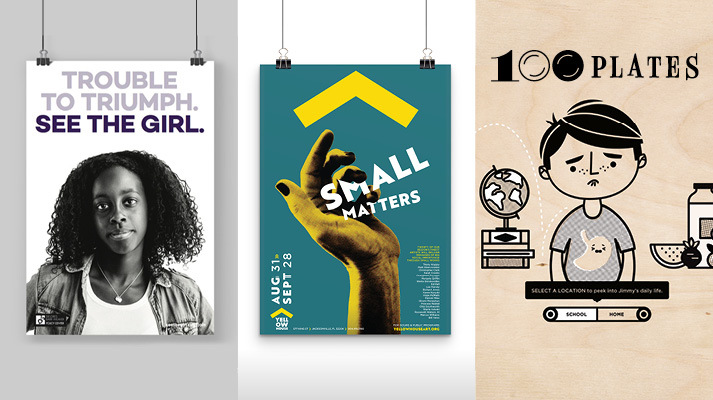 Yellow House leverages the power of art plus action to create change. Now, it’s shown the power to create buzz. 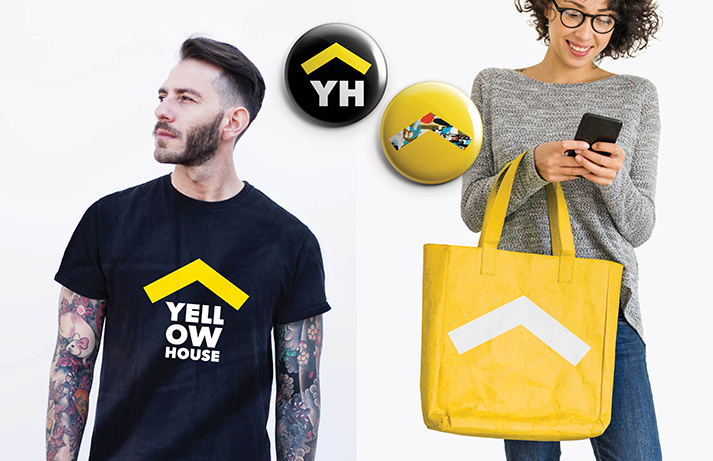 Brunet-García’s Yellow House design is one of 10 selected for HOW’s 9th Annual Logo Design Awards. Search for Yellow House near the end of the page. Tell all your friends to vote! Voting continues through noon Wednesday, February 7. The Readers’ Choice logo winner receives a feature on HOWDesign.com, a free registration to HOW Design Live 2018, a trophy presented at the conference, a lunch date with a HOW Design Live speaker, and entry to the speakers’ reception. 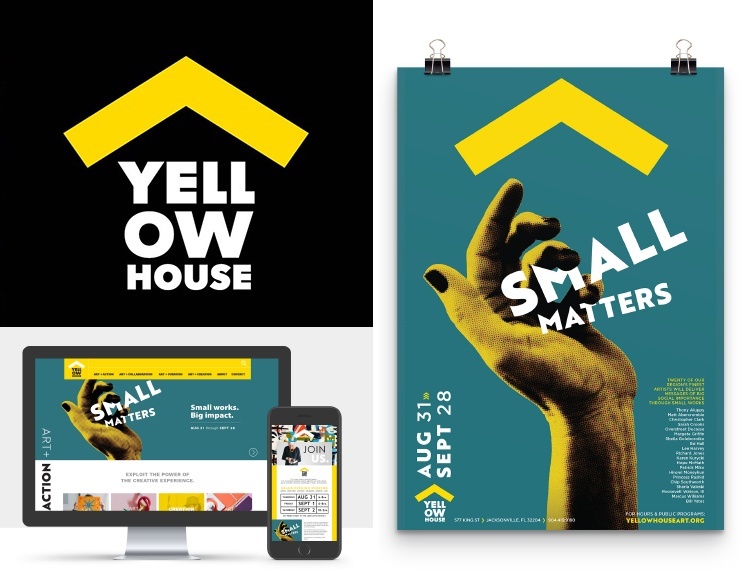 Yellow House’s brand identity, inspired by social movement and activism design, is as big and resonant as its mission to leverage the power of art to transform communities. More than a physical space, Yellow House is a hub for collaboration among artists, writers, organizations, and communities through thought-provoking exhibitions, education, events, and dialogue. The simple icon is based on the actual slope of the Yellow House roofline. Images appear underneath, within, or around the mark, which can be drawn, painted, tagged, chalked, sprayed, printed, cut, or assembled—by anyone—giving the power of art to the community it serves. A logo is one of the most important aspects of any business, and most designers have spent a fair share of time creating effective, cool logo designs for clients. HOW Logo Design Competition & Awards began in 2008 and quickly erupted as a prestigious contest that recognizes great logo design. 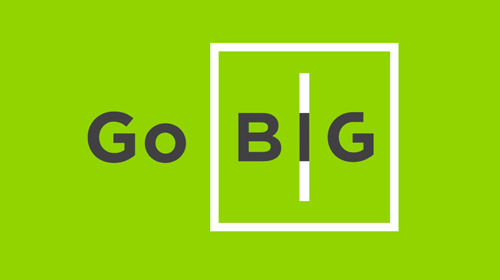 Judge Natasha Jen, partner at the world’s largest independently owned design studio, Pentagram, selected the top 10 winning logos and top 10 winning identity applications.